Heatstroke and Hyperacute Exertional Rhabdomyolysis (HER) – Dogs In Hot Weather. We all know that our precious hounds suffer in the cold and wet (some more then others!) but the summer months can pose just as much, if not more, risk to them. 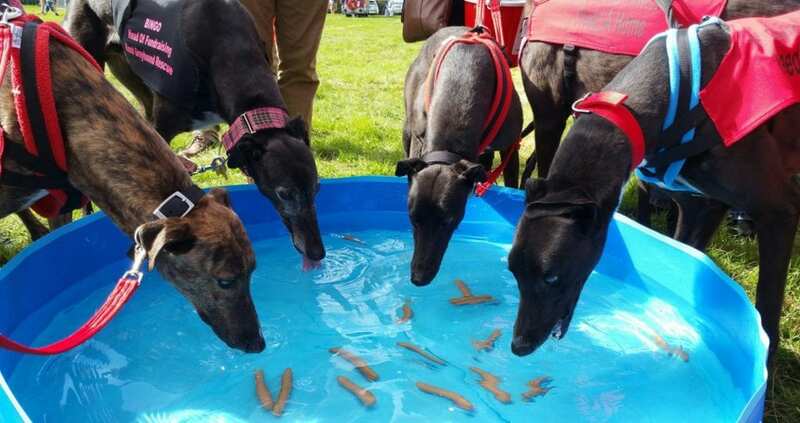 Greyhounds and other sighthounds are prone to both heatstroke and HER so care must be taken to monitor their exercise levels in the summer to make sure they don’t over exert themselves (in fact HER can strike at any time of year but is a particular risk in the summer). Our dogs do not have the capacity to monitor their fitness levels and adjust themselves accordingly, so we must make sure that we do it for them. 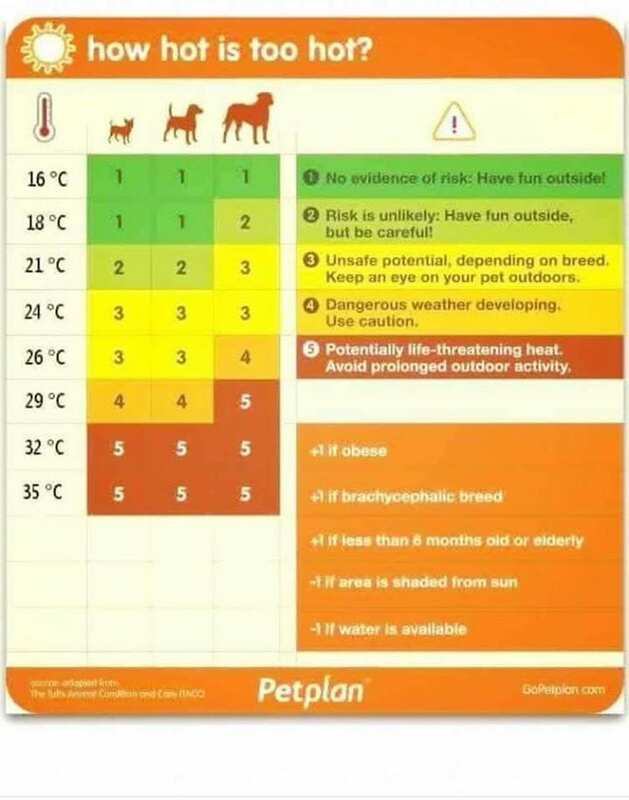 During the warmer months you should avoid walking your dog in the middle of the day and even in the evenings walks should be kept shorter as the pavements and ground will still be releasing heat which can elevate your dog’s temperature. Long walks should be done in the cooler mornings – preferably before 11am – and you should make sure to always have water with you. Chasing and running should be kept to a minimum and remember HER is the second most lethal illness your hound can contract. 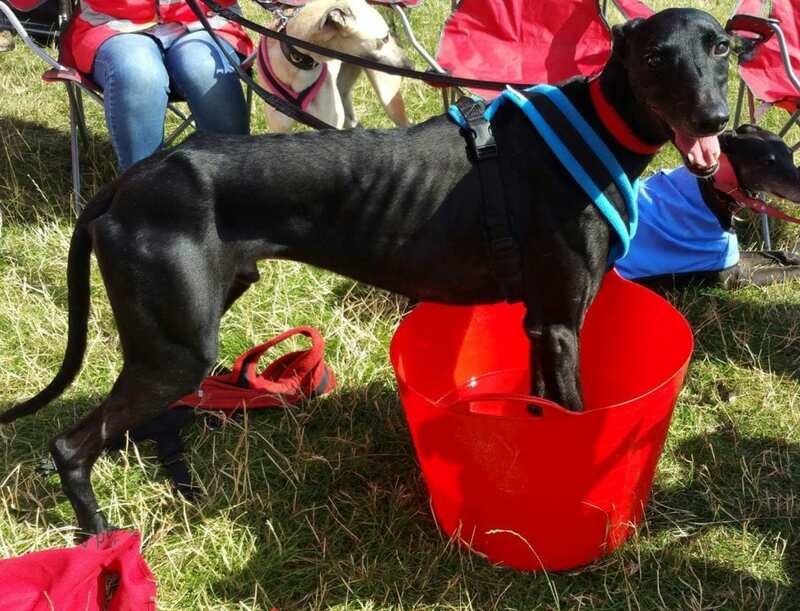 Both hyperacute exertional rhabdomyolysis and heatstroke can kill a greyhound, particularly an unfit one. Physical effects can vary, but these two urgent conditions can show similar signs, including heavy panting; generalized muscle pain, and muscle tremors. If it is very hot and you have doubts, just don’t walk your dog – he will not miss one walk. The body temperature must be brought down as quickly as possible. This can be achieved by hosing down the dog, applying cool wet towels over the body, and exposure to a fan or air conditioning in house or car. Try to avoid producing a shivering response as this can create more heat in the body. You then need to take your dog straight to your vet. 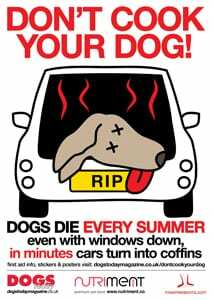 NEVER LEAVE YOUR DOG IN A HOT CAR. If the outside temperature is 70 then after 10 minutes the inside temperature will be 89 and after 30 minutes it will rise to 104 and your dog will die. 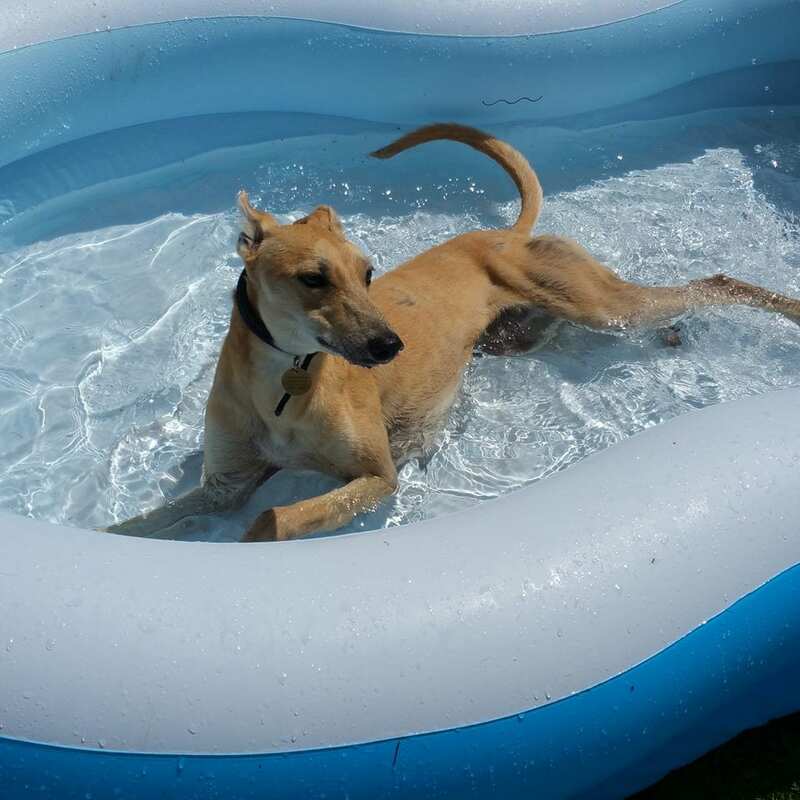 There are lots of fun ways to keep your dog cool during the hot summer months – many dogs love a splash about in a paddling pool, or try popping some hot dogs in a small pool or container to encourage your dog to dunk his head in the cold water. Freeze raw bits of meat, bananas or cheese in a ice cube tray and give to your dog as a frozen treat. Remember to keep ensure your dog has free access to plenty of fresh water. Most dogs will appreciate a gentle spray from a hosepipe when it is really warm. 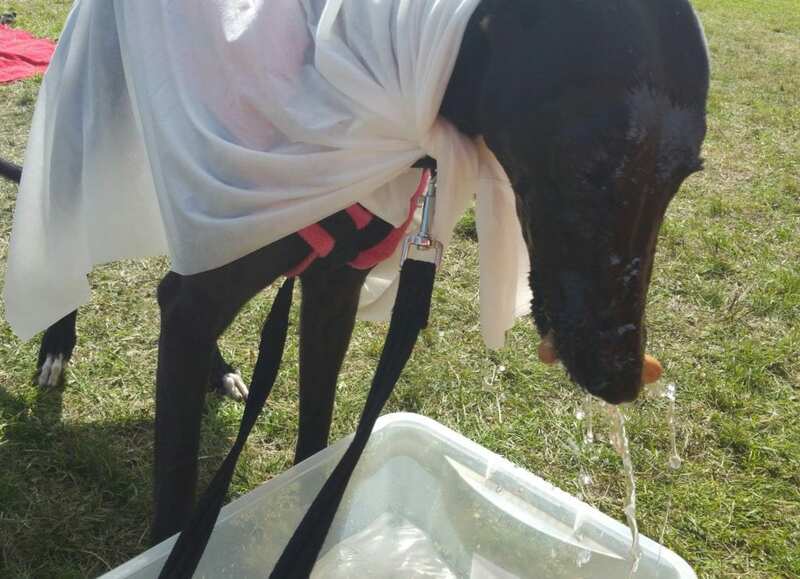 You can purchase special coats for your dog to wear in the heat (they stay damp) or you could try a simpler version by using a disposable towel that has been throughly drenched in cold water. Remember to always carry extra water with you in the summer.